We don't notice it on a day to day basis, but the human body is impressively dynamic. New cells are continuously born to replace aged or damaged ones. 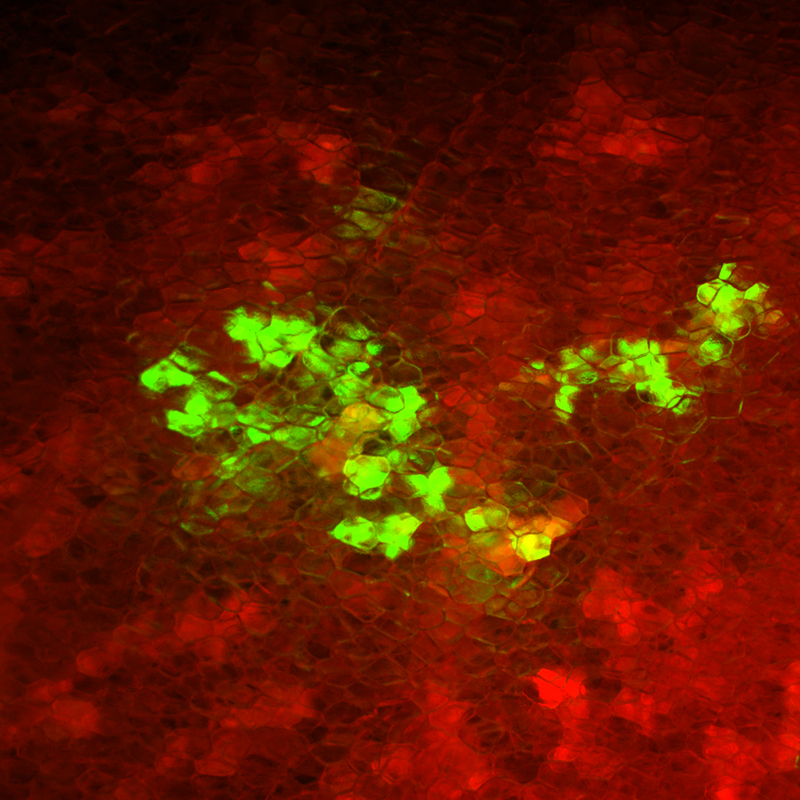 This image shows a cluster of milk-producing alveoli (labeled by green GFP expression) in the mouse mammary gland that has arisen from a single stem cell during pregnancy. The labeled cell clone is blurry, still hidden beneath a layer of fat cells. To me it represents both the elegant beauty and challenge of uncovering basic biological principles.